Protective accompaniment, creation of safe spaces, monitoring & reporting and relationship building. Locally and around the world, new strategies to protect human rights and promote peaceful conflict transformation are in action. Nonviolent peacekeepers are in demand. In this six-day course, you will develop skills to build relationships that can support conflict resolution and protect human rights defenders, both in Canada and abroad. 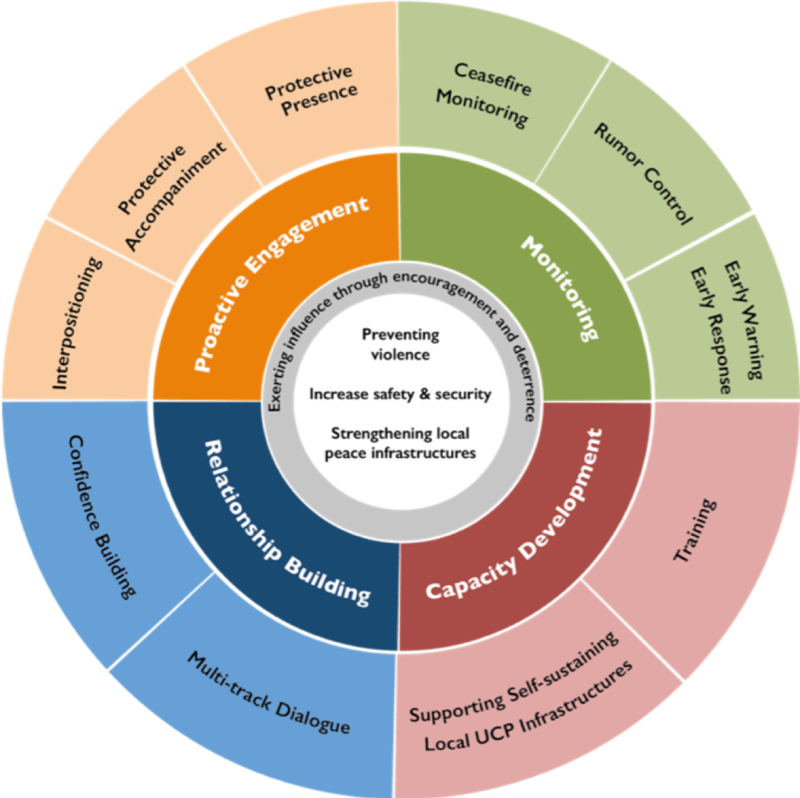 UCP involves the use of trained peace professionals who use the principles of nonviolence to provide direct physical protection to civilians in a variety of contexts. Some of the strategies used include protective accompaniment, creation of safe spaces, proactive presencing, interpositioning, monitoring and reporting, and relationship building. This citation program is being offered in collaboration with Nonviolent Peaceforce, a major global organization that employs UCP strategies in several areas, including the Philippines, South Sudan, Myanmar, Bangladesh and Iraq. The course will involve virtual linking of students here at Selkirk College with students taking the UCP course concurrently in Burundi (Central Africa). *Register for the Castlegar session online with Community Education & Workplace Training. 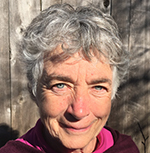 Madelyn MacKay has a background in anthropology, bi-cultural human development and social justice, and loves the emerging global expertise in nonviolent peacekeeping.She has been invited to facilitate nonviolence workshops and courses around Canada, in the US and at the United Nations over the past 14 years. She also founded the Women's Peace Camps with Canadian Voice of Women for Peace. Locally, she teaches Roots of Empathy and Global Citizenship, continuing her involvement with multicultural families and our youngest community members. In Burundi: May 14-24 with Instructor Ashlyn Schwaiger. *Please note that the Burundi session is full. Ashlyn Schwaiger is a conflict transformation professional who has engaged in a number of high-conflict environments.She started her career in the gender-based violence prevention realm, worked with former child soldiers in Sierra Leone, and spent several years leading unarmed civilian peacekeeping teams with Nonviolent Peaceforce in South Sudan before and during the current civil war. Ashlyn has taught the Unarmed Civilian Peacekeeping course at Selkirk College since its inception in 2016. The program will be delivered in English, making proficiency in English a requirement. One year of post-secondary studies, or a minimum age of 21 years is recommended. This citation in UCP will enable you to apply for volunteer and paid positions with organizations that specifically hire unarmed civilian peacekeeping personnel. Additionally, this course is helpful for anyone seeking employment in international humanitarian work, as it prepares students with the skills of cultural awareness, communication and violence de-escalation. Join the Mir Centre for Peace on Facebook to stay connected and learn more about Mir events and programming. Check out the UCP Database for an interactive map and more on UCP around the world. "I strongly believe we need a new approach to conflict and I belive in non-violence. Ths course has deepened my understanding and helped know of ways to do this." Jan Schulz-Weiling works with refugees providing humanitarian aid. From Freiburg, Germany, he found the course intensive and rich in learning. An instructor's comment: "I first learned about Unarmed Civilian Peacekeeping working with Nonviolence Peaceforce in South Sudan. Having studied conflict and seen the impact of post-conflict zones years after civil war ended, I found it extremely eyeopening to not only learn the theory behind UCP methods, but using those methods on the ground and seeing it work on the ground during violent conflict proved to me that it works. For me, its value lies within the flexibility of the methods, and the ability to adapt those methods when the situation changes." "I am living in a country that has violence, especially when it comes to elections. I belive this course will give me the skills I need to help my community. I appeciate the practical training that will help me confidently build relationships with authorities." "I believe learning about Unarmed Civilian Peacekeeping is invaluable. You cannot put a price or time limit on beginning to understand the skills which we need to promote a peaceful world to reside in. We all grew up being taught that the world is a cruel place, and this attitude perpetuates the problem. There's only room for solutions, and by learning about UCP we can focus on the skills which all humans need in order to progress as a species." "I was looking for something that would help me in nursing. This knowledge comes in handy because there are a lot of intense situations that can happen in a hospital environment. Being able to be a calming force there is helpful." "The biggest things I will take away from this are team building and empowerment skills. I can help people build on the strengths they have. Taking this back to my community to build relationships will be helpful." Sabrina Jeff is from Williams Lake. Because of the severe gang violence issue in her community she attended the Unarmed Civilian Peacekeeping Program.